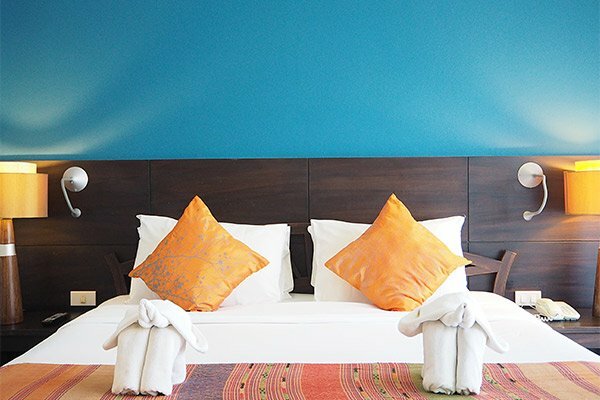 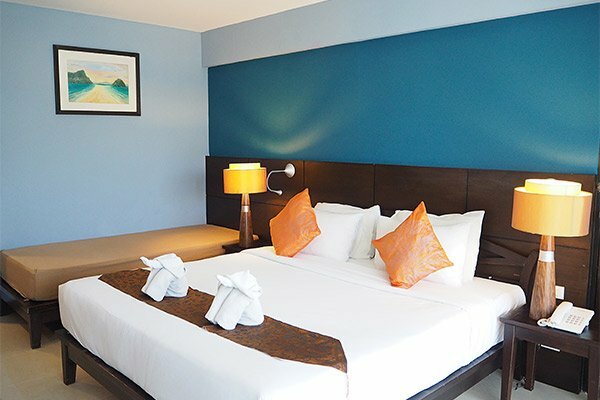 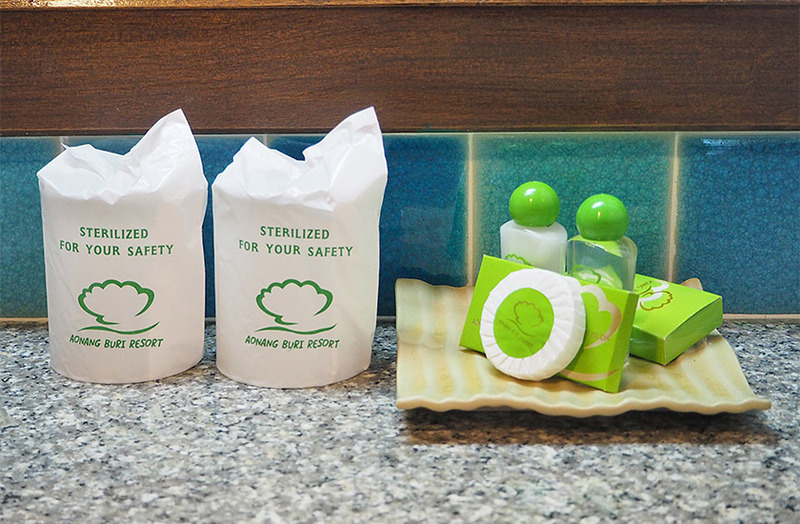 All our grand deluxe rooms at our Krabi beachfront hotel have more breathing space. 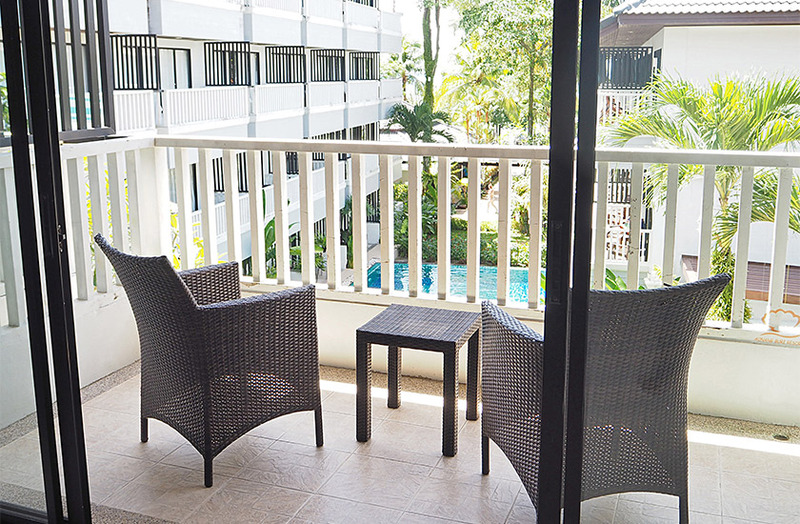 Our rooms have a larger living space and private balcony facing the swimming pool. 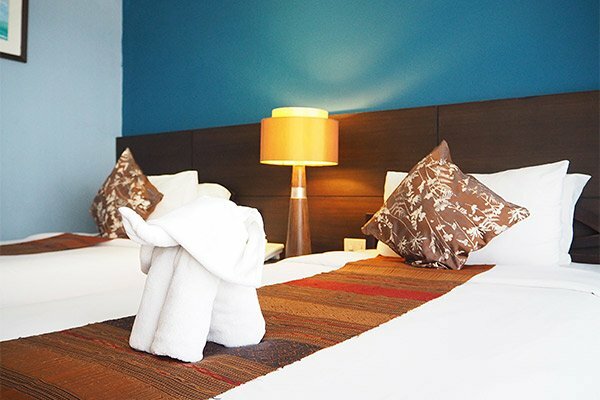 Additional features in our grand deluxe rooms include hairdryer, complementary tea and coffee-making facilities, air-conditioning, mini-bar, satellite TV, telephone, safe and a bathroom complete with toiletries. 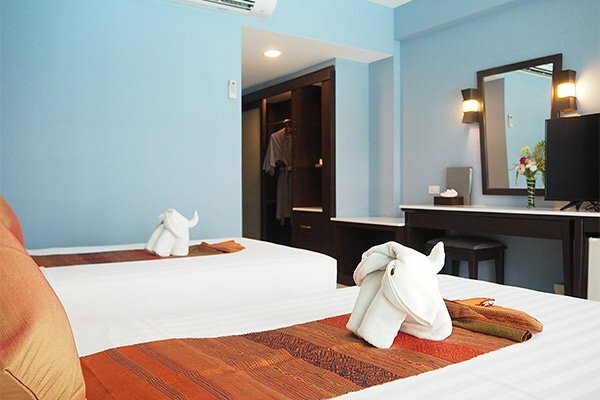 Certain rooms can be connected, ideal for those who coming in groups with friends or family.